When they are surveyed, Australians appear to be supportive of aid work. Yet beyond the presence of nominal, high-level support, little is known about the nature of their support for aid, or the type of Australian most favourable to aid giving. Are aid supporters predominantly wealthy? Or religious? Or educated? Or young? And is support coupled with particular political or ideological beliefs? Even less is known about the depth of the Australian public’s commitments to aid giving — the extent to which people are actually willing to support aid work when it comes at a cost. 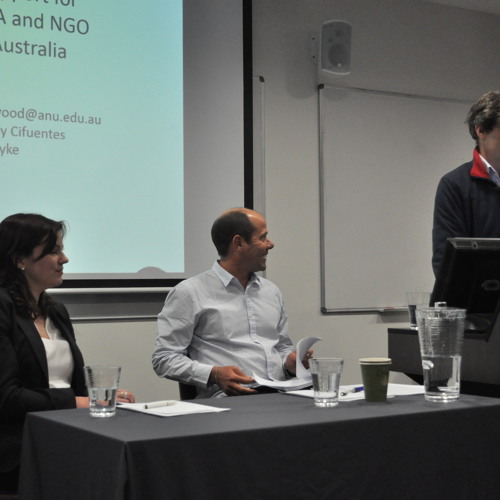 In this public seminar, the authors of a Development Policy Centre Discussion Paper presented findings from analysis of two new datasets – one based on surveyed support for government aid, and one based on actual private donations to aid non-governmental organisations (NGOs). They discussed the socioeconomic and political traits most strongly associated with support for government aid, traits most strongly associated with NGO donations, and the relationship between the two. This public seminar was presented by the Development Policy Centre at Crawford School of Public Policy, The Australian National University.